As part of UK Research and Innovation (UKRI) STFC offers a benefits package designed to provide an excellent work/life balance. This includes 30 days’ annual leave, 10.5 public and privilege days, Christmas shut down, flexible working hours, an exceptional defined benefit pension scheme, and social and sporting activities and societies. Full details can be found on STFC’s careers pages. The Hartree Centre is transforming UK industry through high performance computing, data analytics and artificial intelligence (AI) technologies. Backed by over £170 million of government funding and significant strategic partnerships with organisations such as IBM and Atos, the Hartree Centre is home to some of the most advanced computing, data and AI technologies in the UK. From early stage SMEs to international corporations, our experts work with industry and the research community to address real life challenges and accelerate the adoption of high-performance technologies, delivering transformative gains in performance, productivity and time to market. We are on the frontline maintaining the UK's position at the forefront of industrial innovation through a range of computational services and collaborative partnerships. Our emerging technologies and internationally recognised expertise offer significant opportunities for UK industry to revolutionise processes and soak up significant economic advantages, whilst also supporting academic researchers with the tools they need to push the boundaries of pioneering UK and international science. We are a centre within the Science and Technology Facilities Council (STFC). To achieve this, we work collaboratively with a range of groups (companies of all sizes, research institutes and universities), across five core areas: Proof of technology, collaborative research and development, software development and optimisation, platform as a service and training and skills development. We are improving competitive advantage and productivity for our clients, partners and the wider community and developing the UK skills-base in future technologies. The continuing success of the Hartree Centre means we are looking to recruit talented and enthusiastic Scientists, Engineers and Technologists to work on ground breaking projects across the full range of Artificial Intelligence, specifically, Natural Language Processing, Machine Learning or Knowledge Engineering. You will work on a variety of challenging projects across a range of industry sectors (including Healthcare, Aerospace, Oil and Gas, Automotive Engineering, Transport Systems, Chemistry and Life Sciences, to name a few), utilising and enhancing your skills in Natural Language Processing, Machine Learning or Knowledge Engineering. The choice of project will depend to some extent upon your strengths, but the common thread is the application of innovative computing solutions to real industry problems. In addition, you will have the opportunity to work with the latest high-performance computing, Big Data and Artificial Intelligence technologies from Nvidia, Intel and IBM, including its world-class ‘Watson’ cognitive computing platform. project management will also be a key responsibility for the Band E position. You will join a growing team of world class data scientists within the Hartree Centre, working closely with applications teams in STFC’s Scientific Computing Division and with an expanding IBM Research team based at the Daresbury site. You will work with business development personnel to develop collaborations with industrial partners and public agencies. The Hartree Centre works closely with industrial clients on specific projects, and you will also contribute to the development and delivery of these projects as needed. Some of the work will be commercial in confidence and subject to IPR rules around public disclosure. The role will involve working closely with teams within commercial companies. 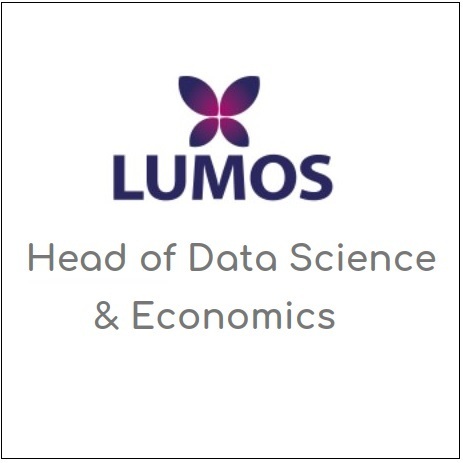 You will have graduated in an appropriate discipline, preferably with a relevant graduate or post-graduate qualification and/or with relevant on the job experience in developing end-to-end Artificial Intelligence systems to take on real-world, industry-scale problems, or experience using some combination of AI technologies (involving Natural Language Processing, Machine Learning and/or Knowledge Engineering) to tackle everyday challenges in a related field such as data science. As a Band E, you will be expected to be able to directly contribute to the scoping, development, management and delivery of projects based on your understanding of state-of-the-art in AI and related fields. Machine Learning (inc. Deep Learning). While support from other members of the department is available, you should have a knowledge of software engineering and tools, the use of clusters or supercomputers, and data management. Aside from solid experience in one of the core areas of Natural Language Processing, Machine Learning or Knowledge Engineering, demonstration of knowledge and/or experience in areas, such as Human Computer Interaction, Robotics, Computer Vision, Speech and conversational user interfaces, Web-based Agents, Wearable devices and the like, will be a distinct advantage. You will need to work on diverse projects, so an ability to have informed discussions with scientists, industrial clients and academic colleagues from different domains is important. Hartree Centre projects are solution-focused, so working to a plan and within a deadline is key. For the senior Band E position you will also need to be able to demonstrate skills and experience in leading small to medium sized projects. Solid understanding of and experience implementing different project management methodologies will be an advantage. experience of writing software for deployment, using established technology, e.g. Python, Java, Scala, C/C++ (S&I). experience leading small to medium sized projects (S&I). experience developing interfaces and/or glue code. As this job does not fulfil the Home Office Code of Practice criterion for obtaining sponsored migrant worker status we will be unable to apply for sponsorship for anyone not eligible to work in the UK. At interview, all shortlisted candidates are required to bring with them identification documents and original documents that prove they hold or can obtain the right to work in the UK. You can check your eligibility here: https://www.gov.uk/check-uk-vi... closing date for this vacancy is Sunday 28th April 2019 however applications will be reviewed and interviewed on an ongoing basis until this vacancy is filled.